The first video of sixteenth module is now available, where we will see how to work with gvSIG Online. gvSIG Online is an integral solution in free software for managing the spatial information of an organization following the Spatial Data Infrastructures (SDI) model. 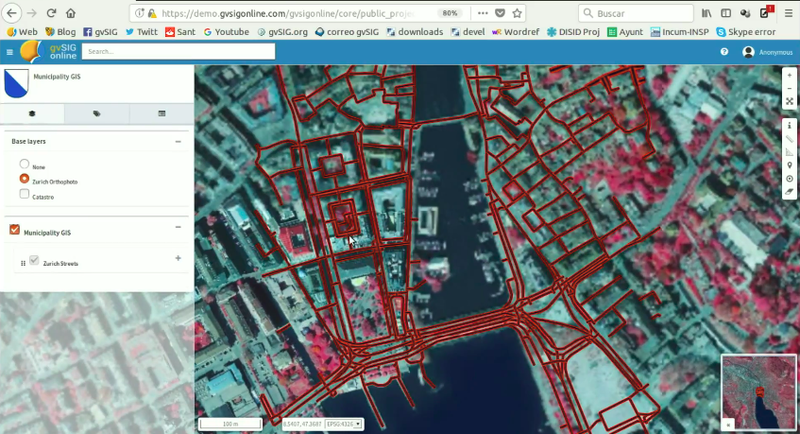 With gvSIG Online a city council can organize its geographic information in the most efficient way, having a powerful tool, both to generate map or geoportal viewers easily and to manage the spatial database of the organization, also betting on free technologies to guarantee their technological independence (apart from saving in implementation costs considerably). An SDI allows to organize all the geographic information, facilitating its location and access in real time, avoiding duplication of information, solving the accessing problem to updated information and allowing interoperability with geographic information both internally and from other organizations. In general, gvSIG Online users will have web applications or mobile applications (optionally desktop ones too) to access and interact with the geographic information of the organization, using layers from standard services such as the map service (WMS) and tiled maps (WMTS), the feature service (WFS) and transactional feature service (WFS-T) and the geoprocessing service (WPS). Finally, all the information will be centralized in a spatial database. In this module you won’t be able to perform the exercise directly, because an implementation of the platform is necessary, but you can see everything that can be done with gvSIG Online. If you are interested in implementing gvSIG Online in your city council, or in any other organization, you can contact us, writing to this mail address: info@gvsig.com, where we will inform you about it. This entry was posted in english, geoportal, gvSIG Desktop, gvSIG Online, SDI, training and tagged city council, geoportal, gvSIG Online, Muicipality management, SDI. Bookmark the permalink.